Each morning, I walk out of the house into a wall of humidity, a huge sky and the occasional armadillo or raccoon scampering into the bushes of the driveway. It's a daily reminder that I am living in Texas, a place I never imagined I would have even had the chance to visit. How did I end up here...? 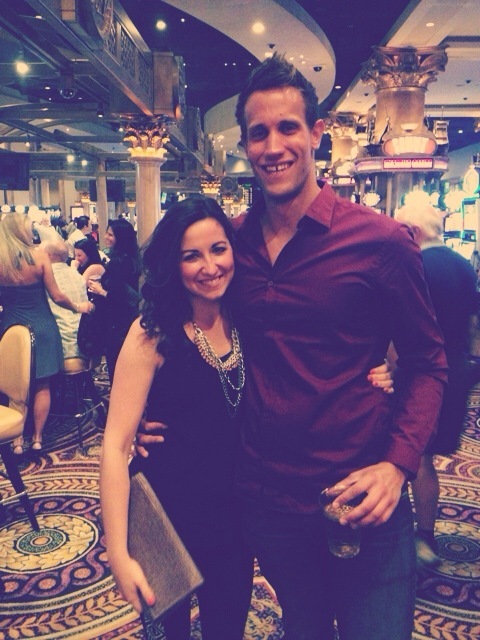 I met my wife, Michelle in Las Vegas in September of 2013. I was visiting the US for the first time from the UK, and Michelle was hosting her younger sister's bachelorette weekend. Both of us were doing just fine on our own, until I sat down next to Michelle at Caesar's Palace, poolside, one fine afternoon. The conversation flowed easier than any drink ever had, and within a few hours, we found ourselves on a proper date in the middle of sin city. I left for London the next morning, leaving Michelle to wonder if San Francisco, where she was living at the time, was "International" enough for her. Then again, anything can happen in #Vegas. Fast forward 3 months, and Skype became a necessity, especially on Saturdays (and any given weekday). It only took another month for me to book a flight to San Francisco for an 8-day adventure with that girl I met in Vegas who I couldn't stop thinking about. February 27, 2014: I walked out of the International Arrivals door at SFO Airport and there she was. That smile I remembered in Vegas was as real as it was before, and I still demanded a presence she couldn't ignore. The rest of that week went better than either of us could have ever imagined. So well that I made a certain purchase on a certain piece of jewelry for Michelle's hand to give to her in the near future. When you know, you know. Alas, we had to say goodbye without having a set plan for the next time we'd reunite. A goodbye we promised each other we'd never have to do again. That next week, Michelle booked a ticket to England, a place she'd never been, to accompany me to my cousin's wedding and explore London. The trip confirmed we were in this for the long run. It's amazing how much can happen in just under a year. 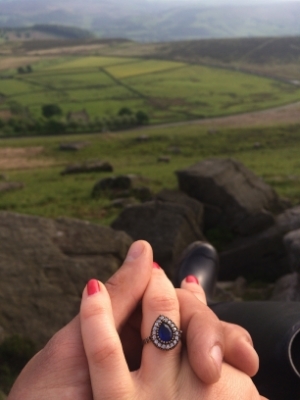 I proposed to Michelle on June 1, 2014 on top of Stannage Edge on the setting of Pride & Prejudice in Sheffield, England. 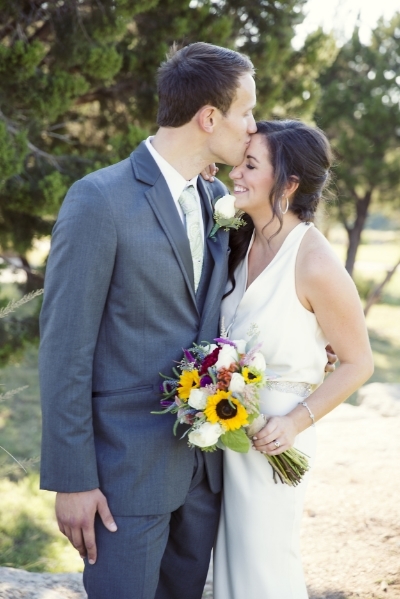 Following the proposal and some long discussions with our families, we decided to move to Austin 12, 2014 and get married shortly after on October 25, 2014.